Both The British Sikh School, located at the former Parkfields School site, and Wolverhampton Vocational Training Centre, based in Upper Villier’s Street, opened their doors to eager pupils this week. Each has pledged to make a positive impact in the city and allow youngsters to get the most out of their school years. At the opening day for The British Sikh School, 81 pupils got to see their new surroundings, meet their classmates and teachers and learn more about what lies ahead for them. The school, which is run according to Sikh values and principles rather than the Sikh faith and is welcoming to children of any religion, will boost the standard of education across the city, according to principal Raminder Singh The school’s main hall contains pictures of social activists such as Rosa Parks, William Wilberforce, Bangat Puran Singh and Emmeline Pankhurst in an effort to inspire the children. Mr Vig said: “Today is very exciting for us, this vision has been four years in the making. “It has now come to fruition, which is a great achievement for us and it is something people in Wolverhampton should be proud of. 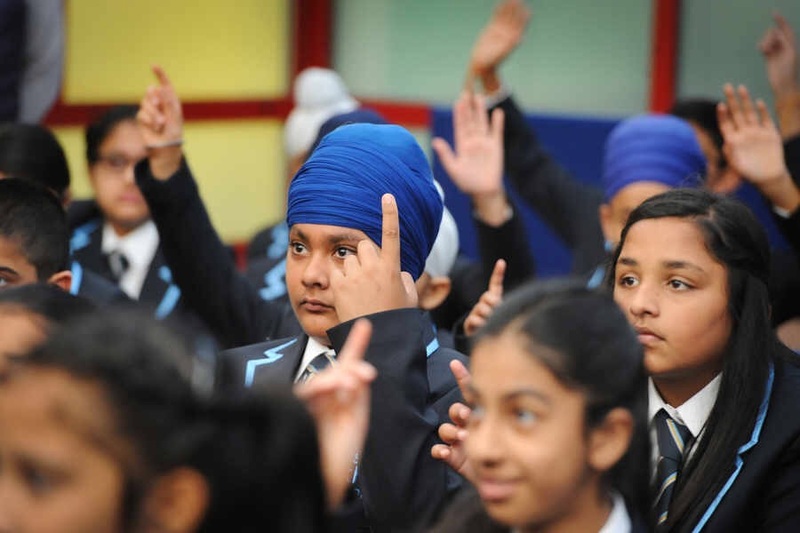 Aside from traditional studies and vocational work designed to help children in ways which directly relate to working life, The British Sikh School offers a wide variety of sporting opportunities to pupils. Mr Vig is confident that the opportunity to take part in fencing and archery classes will be a hit with pupils and has set his sights high for what the school can achieve in the world of sport. He said: “I want to have an Olympian come from this school, that is a personal goal of mine. Meanwhile, Wolverhampton Vocational Training Centre (WVTC) is the first 16-18 free school in the country to offer education and vocational training to special educational needs students. Principal Ben Gamble said he hopes to see students go on to gain employment or continue studying in higher education in the near future. He said: “We are offering a unique service here and we are hopeful for a successful future. “Our entire ethos is based around our students and getting them to achieve more than they think is possible.